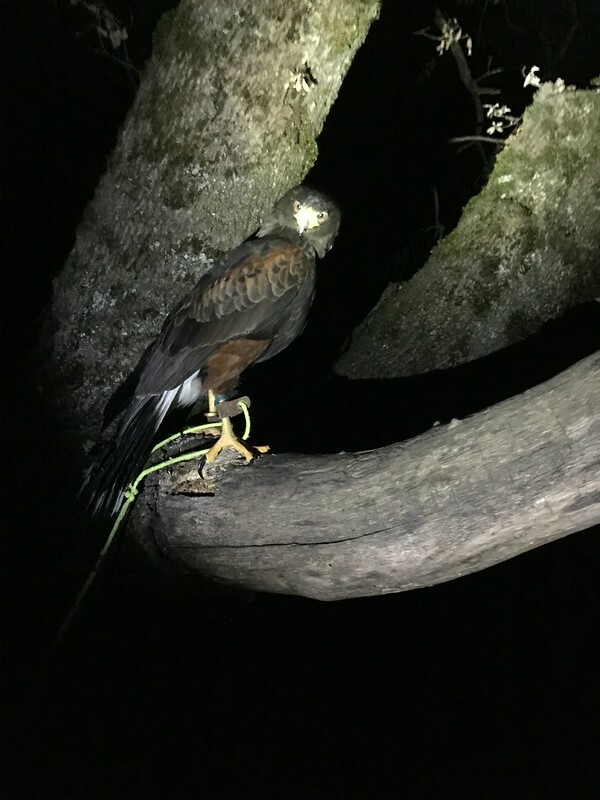 This a picture of my hawk illuminated by the VG 10-S when I went out to feed her after work. 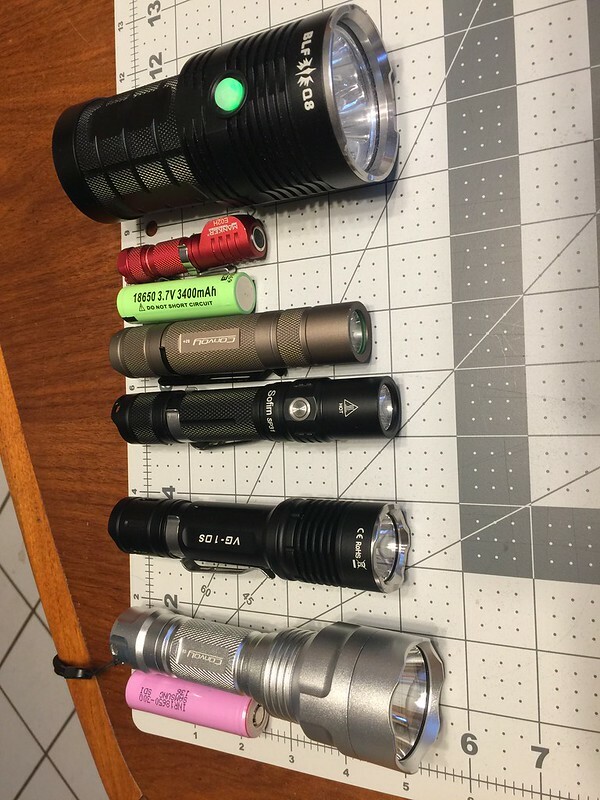 I am going right to what I have been using the light for and what the best use I found for it. It fits great in a belt holster I bought for my C8 and a jacket pocket or bag. 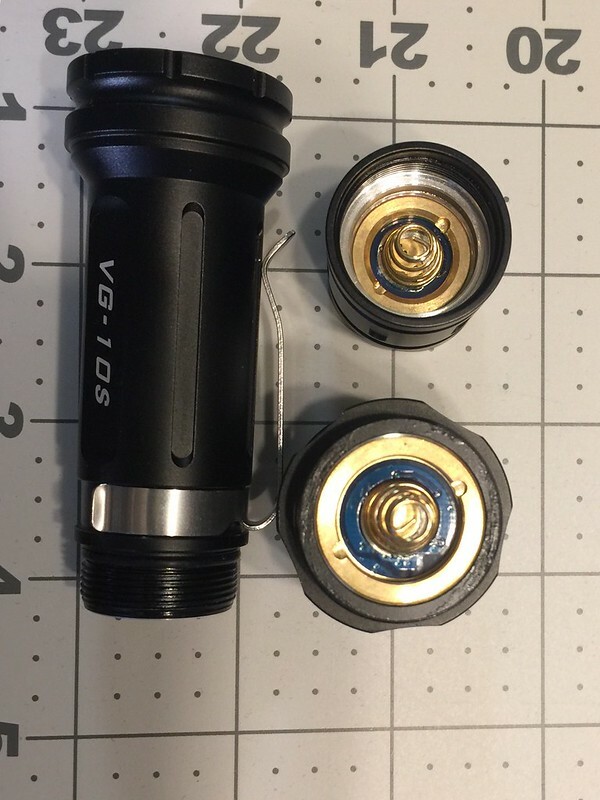 I found that it would be good for someone that finds the C8 too big, but still needs more throw and more light at turbo that the smallest 18650 lights provide. That is because in addition to the larger mass and cooling fin design, it is programed to stay on the highest level for 5 minutes rather than the 2-3 of most small lights. It is also different in that it ramps down slowly to the next highest mode rather that stepping directly down. It was running 20 minutes before it was down to medium, and gradual enough that I had to leave the room for a few minutes to notice the difference with my eyes. 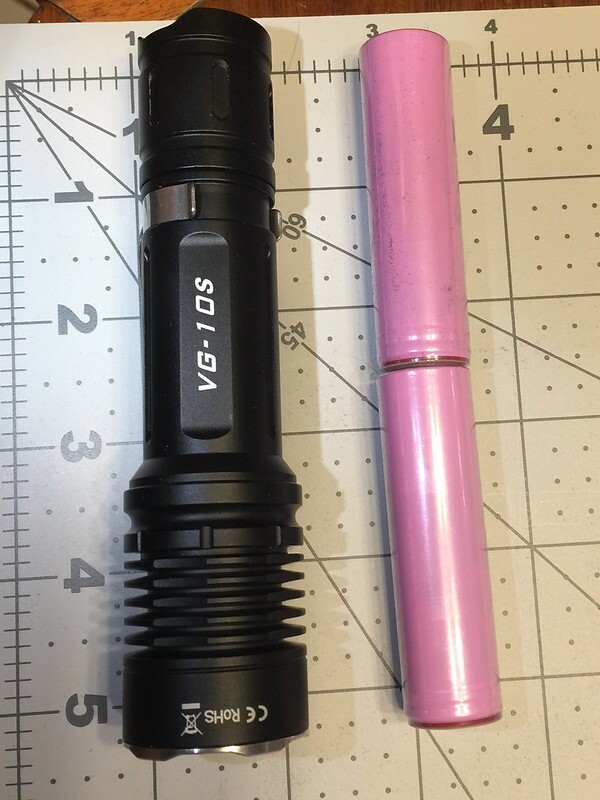 Run times were as advertised, and seemed brighter than my Convoy S2+ and Sofirm SP31 with the same cell. Here is a picture of the three sections. 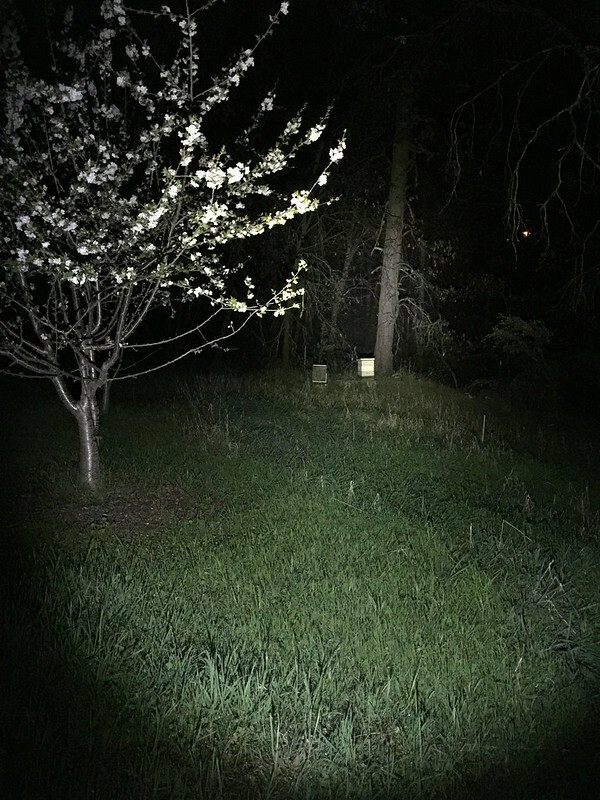 Here is a beamshot of the beehives at the bottom of my property taken with an iPhone. It did not have a tight hotspot, so may not be great for a rifle, but I may mount this to the shotgun. I hope someone found this useful, and if you have a question, just ask. 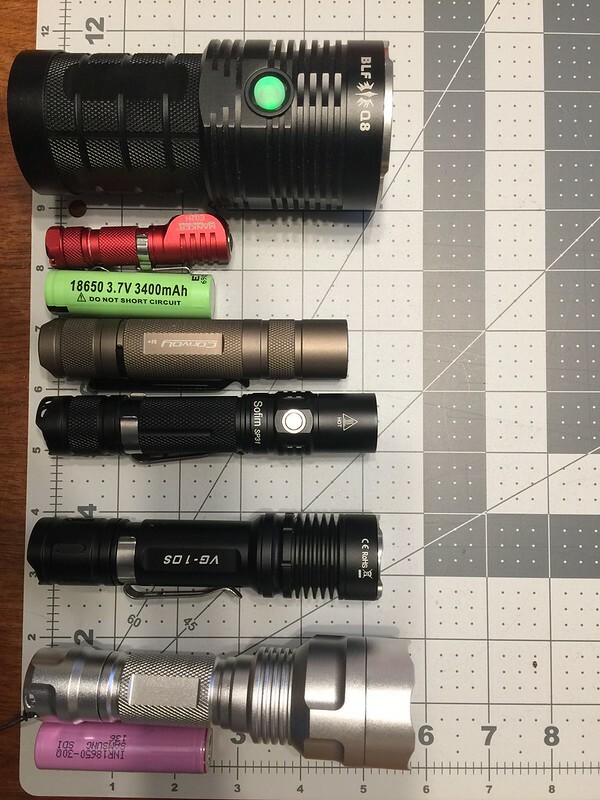 I now have more respect for you guys who do real measurements, teardowns,or beamshots with quality gear. I know I will think twice before doing this again. Great review but you are making me rethink agreeing to review also. I picked the tk15 because my dad has never liked the tail button on the s2+ I got him. Good review and pretty much identical to what I was gonna have in my review so time to reword it lol. 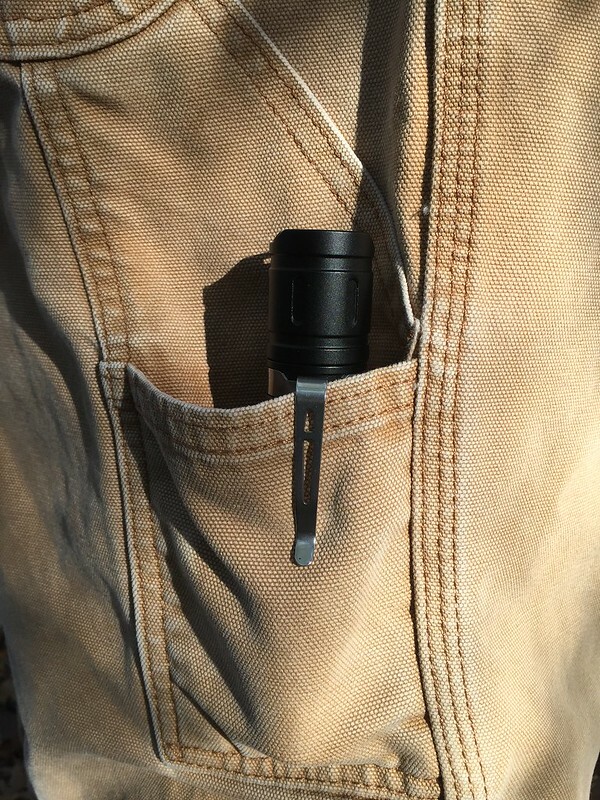 Your definitely correct though, it is to large for the front pocket so it won’t be an edc for me.